Giant hulk Rob grants wishes! OH MY GOD!! Someone hand me some tissues and a hot cup of theraflu!!! This about killed me. Remember when I thought you should be more like Kellan you li and use your celebrity status for good? 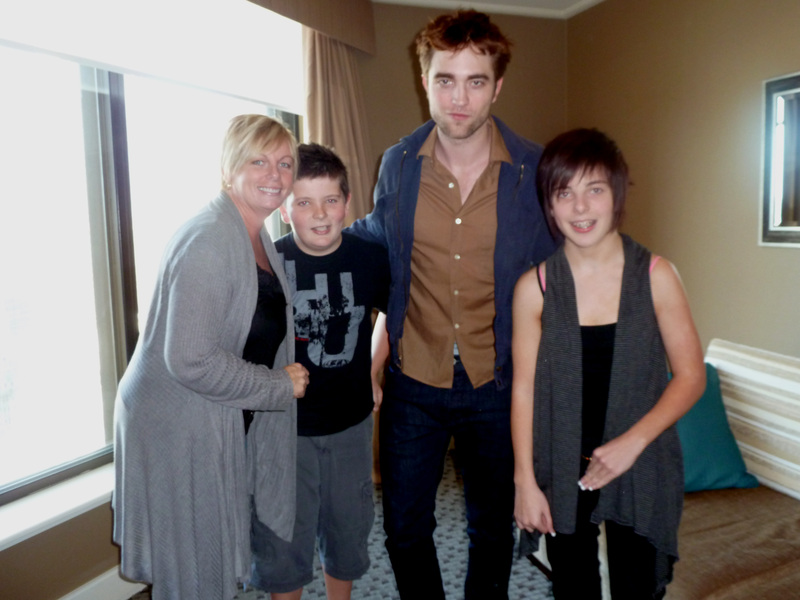 Well, you listened and mission accomplished Rob cause this is really awesome. Even though some celebs might not want to go something like this because it might be awkward or make them uncomfortable for a few minutes you totally dove in and made this girls wish a reality. I’m sure meeting you and having the evening out at the Water for Elephants premiere in Australia was a special moment and a night away from the every day struggle Samantha and her family goes through every day. I’d also like to give a high five and snaps to Samantha for shooting for the moon with her wish. Forget a trip to Disneyland or meeting a Zoo Keeper, she went for ROBERT PATTINSON. Done and done girl! Dude and for telling the wish people you were fine with waiting because I think all the ladies here would agree with you that meeting Rob would be worth the dang wait! Love it. A lot. Geez Rob, why must you play with our hearts like this? It makes thinking about a possible impending drought really heinous… THANKS A LOT! Learn more about the Starlight Foundation and donate!!! Does stuff like this just make you love Rob more and more? This kills me seriously, he’s so great! HAHA take that people who think we’re sad, cynical harpies! 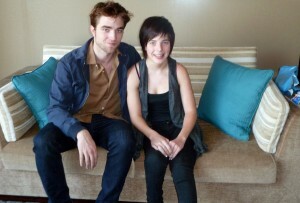 How much do we love Samantha for waiting it out to meet Rob? As some of you know I will be leaving the states for a little vacay in Rob’s hometown and the city of Lights! WHOOHOOO!! This means UC will be all alone here and sad without me. HA. We will be busting in from time to time if Rob or Twilight emergencies happen but we will not be posting every day. So be mindful of that, write some letters to us/Rob/Twi/Whoever in the meantime and we’ll be back before you know it!